Simon & Schuster Books for Young Readers, 9781481471947, 272pp. 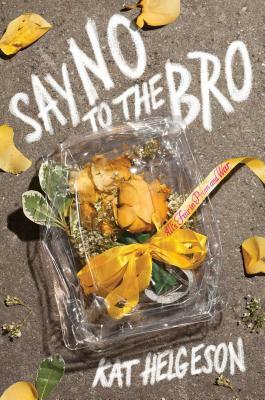 The hijinks of Miss Congeniality meet the high school gender politics of The List in Kat Helgeson’s “funny, smart, and exciting” (Ami Allen-Vath, author of Liars and Losers Like Us) novel about two teens who become entangled in a cut-throat prom date auction. Ava’s plan for surviving senior year at her new school is simple: fly under the radar until graduation. No boys. No attachments. No drama. But all that goes out the window when she gets drafted into the Prom Bowl—a long-standing tradition where senior girls compete in challenges and are auctioned off as prom dates to the highest bidder. Ava joins forces with star quarterback Mark Palmer to try and get herself out of the competition, but their best laid schemes lead to self-sabotage more than anything else. And to make matters worse, they both begin to realize that the Prom Bowl isn’t all fun and games. When one event spirals dangerously out of control, Ava and Mark must decide whether shutting down the Prom Bowl once and for all is worth the price of sacrificing their futures. Kat Helgeson is a Chicago-based author of novels for young adults. She is a 1980s cake walk champion, claims a career total of two points scored during regulation basketball, and she’s undefeated at Star Wars Trivial Pursuit. Having retired from the circus at age fourteen, she now works in marketing by day and writes by night. Kat lives with her husband, her dogs, and a healthy preoccupation with fictional characters. She is the coauthor of Gena/Finn with Hannah Moskowitz and the author of Say No to the Bro. "[T]he problems inherent with girl-on-girl competitions are tempered by heated discussions of feminism. More than just a prom-night romance, this will prompt good conversation." "Helgeson deftly explores the complexities of popularity and the pressures placed on girls to perform for and please boys. Alternating first-person narratives give candid insights into the ways both teens try to do the right thing (and sometimes fall short) as they push back against systems they aren’t comfortable with." "Funny, smart, and exciting--a must read!"